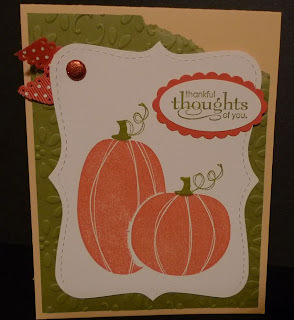 Karina's Kreations: Jack of All Trades Fall Card! Jack of All Trades Fall Card! I made this card last month but forgot to share it with you. It uses the Jack of All Trades stamp set from the Idea Book & Catalog. The set is very cute and makes great fall or Halloween cards. It comes in Wood Mount #122620 $28.95 or Clear Mount #122622 $21.95. The card stock colors are So Saffron, Old Olive and Tangerine Tango. I used the Finial Press Textured Impressions Embossing Folder on the Old Olive layer. 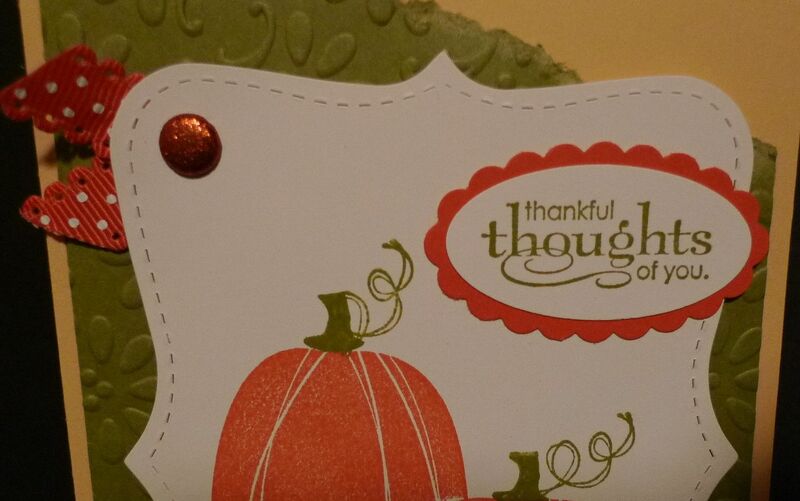 The greeting is from the Grateful Greetings stamp Set #116511 $45.95.